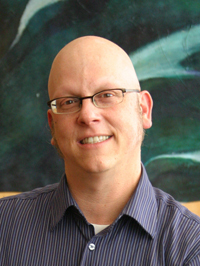 Brian is currently founding principal at Oregon Freshwater Simulations and also teaches GIS for sustainable planning at Washington State University in Vancouver, WA and at San Francisco State University. Brian has been a strong advocate for the use of GIS, remote sensing and related technologies to assist decision makers, land and resource managers and urban planners to make more informed decisions. For nearly 20 years, he has been using and teaching the use of geospatial technologies in natural resource management and conservation as well as in sustainable planning and smart growth. As founding principal at Oregon Freshwater Simulations, he oversees the use of GIS, web/mobile mapping and remote sensing applications in sustainable planning (including network based walkability studies, public health, and food system studies ) and natural resource conservation (including vegetation mapping, habitat suitability, ecosystem services and decision support systems).